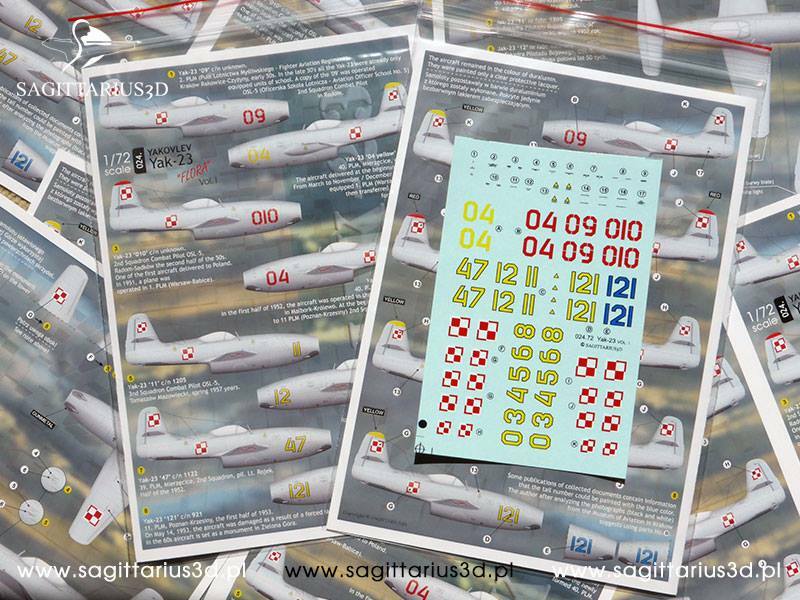 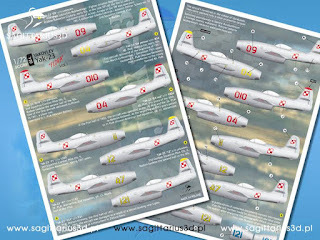 Novelty, decals for the Yak-23. 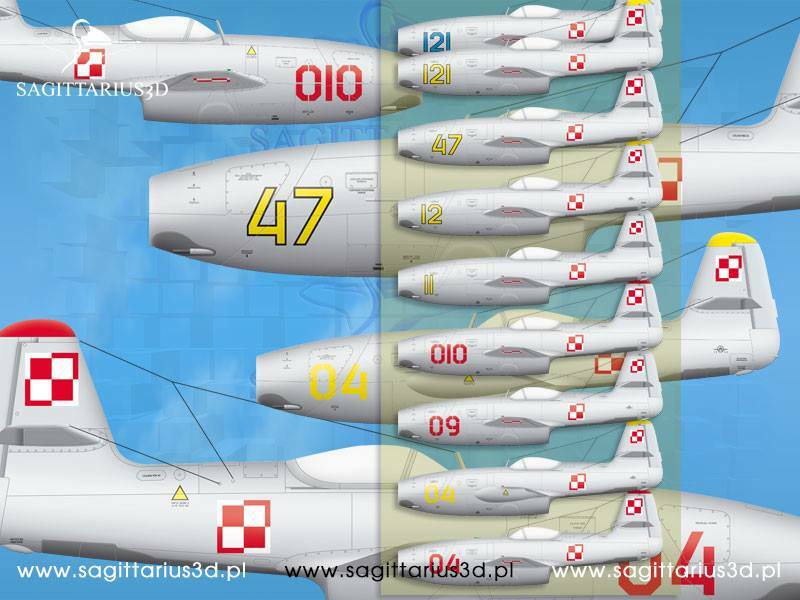 The first of two sets (vol.1) ready, dedicated to the Polish Air Force. A choice of eight variants of the marking and additional digits through which it is possible to make a model in the painting other than that proposed in the manual. 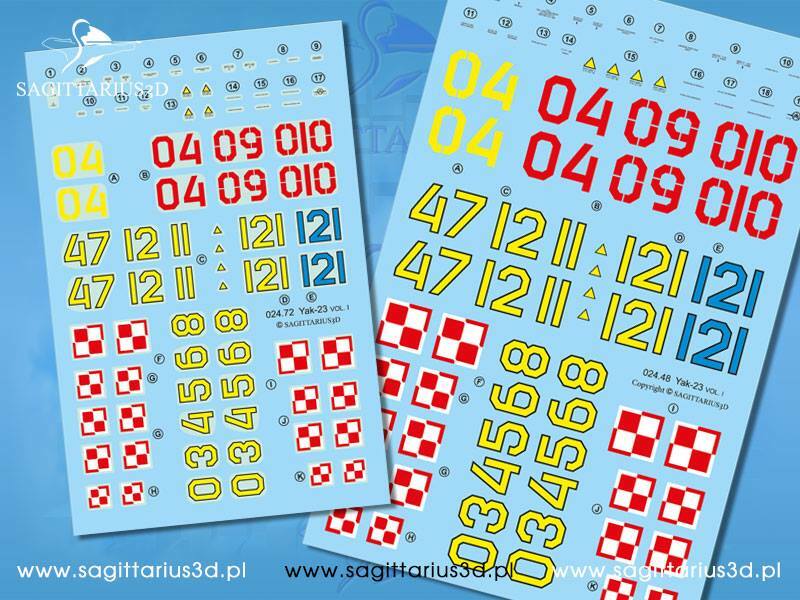 The set with stencil. 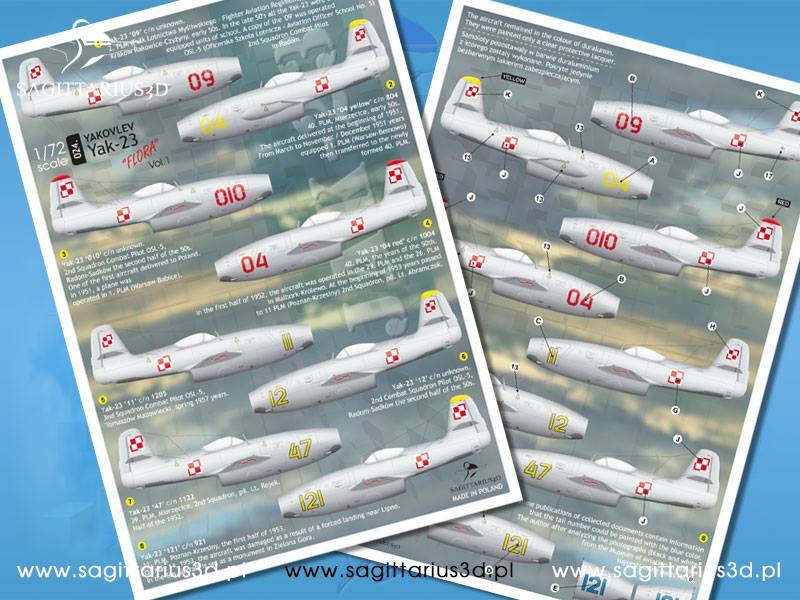 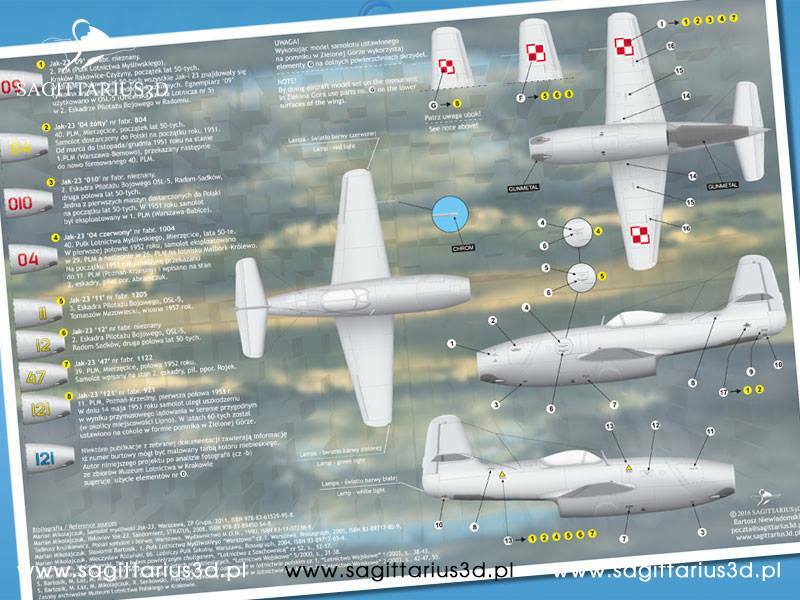 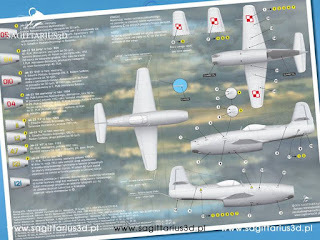 Set vol.2 dedicated aircraft aviation Czechoslovakia, Romania and the Soviet Union soon.